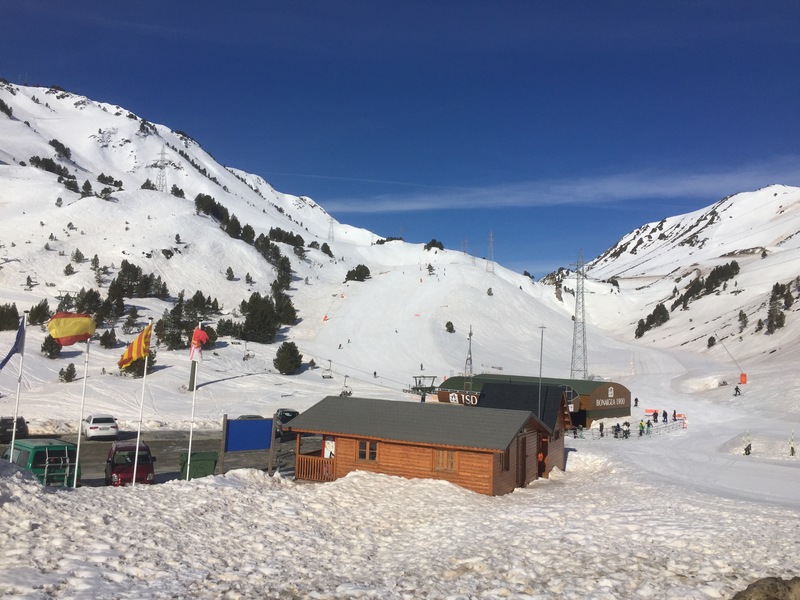 We are in Andorra! A new country for both of us. 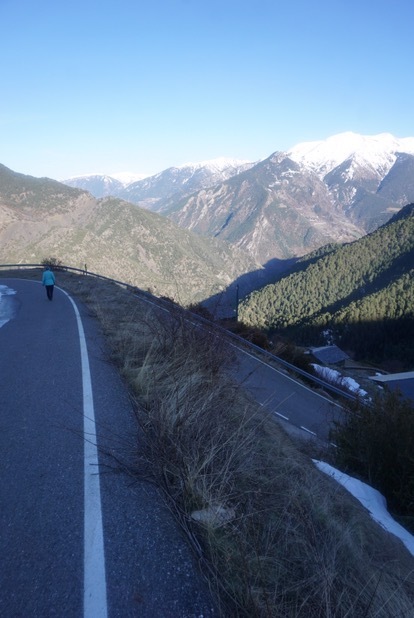 This morning when we left Vielha we went up over a high mountain pass and past a very large ski resort, Baqueira-Beret. 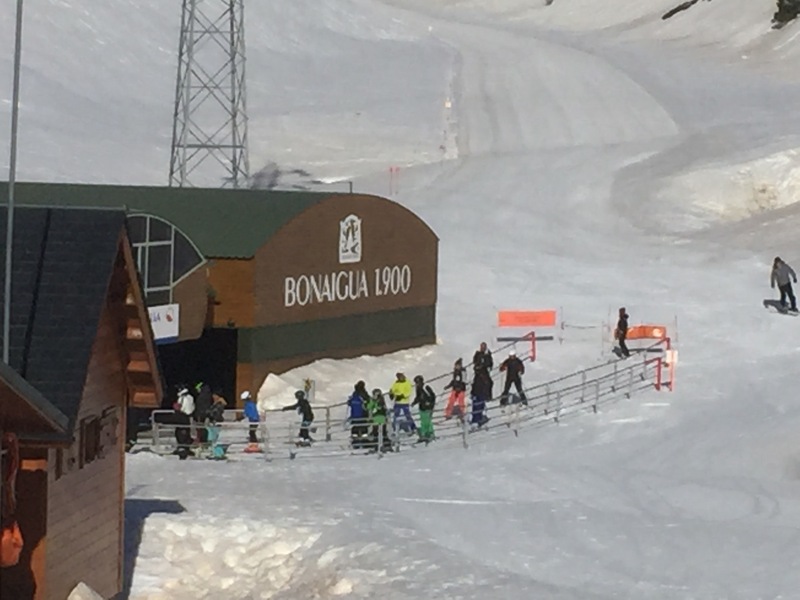 According to Wikipedia it is the largest and most visited ski resort in Spain. 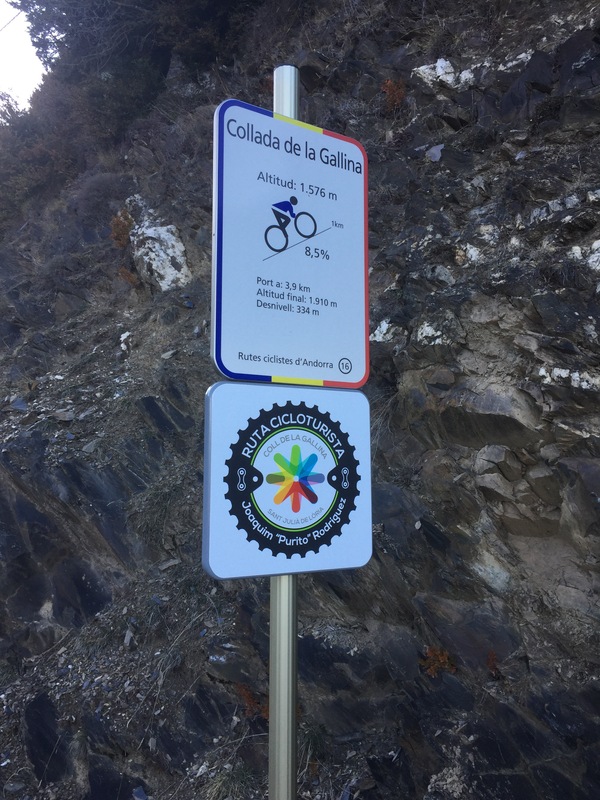 We crossed into Andorra. 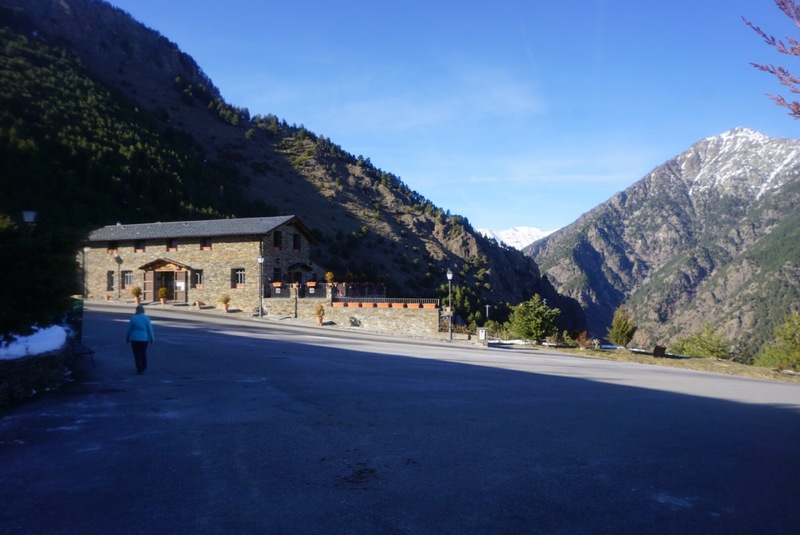 Andorra is small country 568 square kilometers. We are staying at a wonderful little Inn, Hotel Parador de Canòlich. Although it has Parador in its name it is not part of the Spanish Parador chain. Parador means hostel in Spanish. The Inn is up a switch back road out in the country. We are the only ones staying here. We will be here two nights. We are dinner here at the inn. They started our meal with toast. 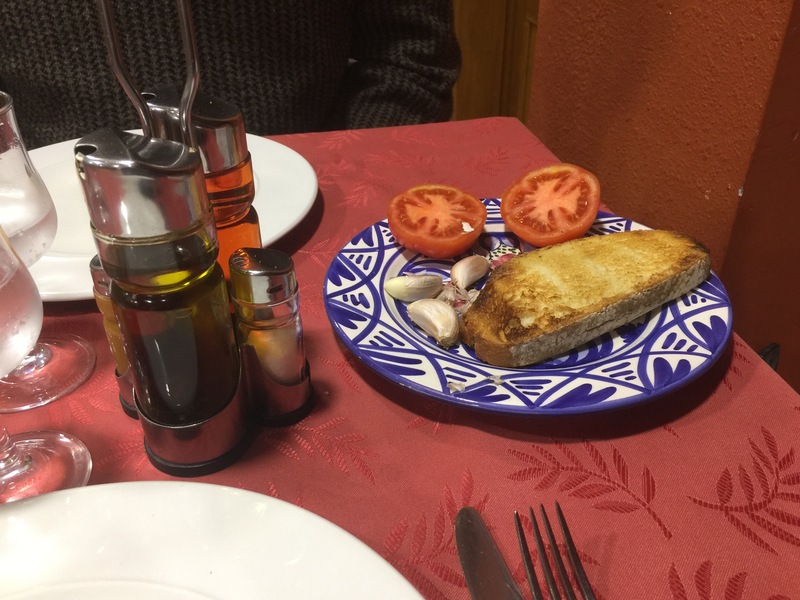 They explained that we should rub garlic on the toasted bread, then rub tomatoes on the toast. Finally we should drizzle on olive oil and add salt. It was yummy as was the whole meal.